FACT: There are 2.3 billion active Social Media users. 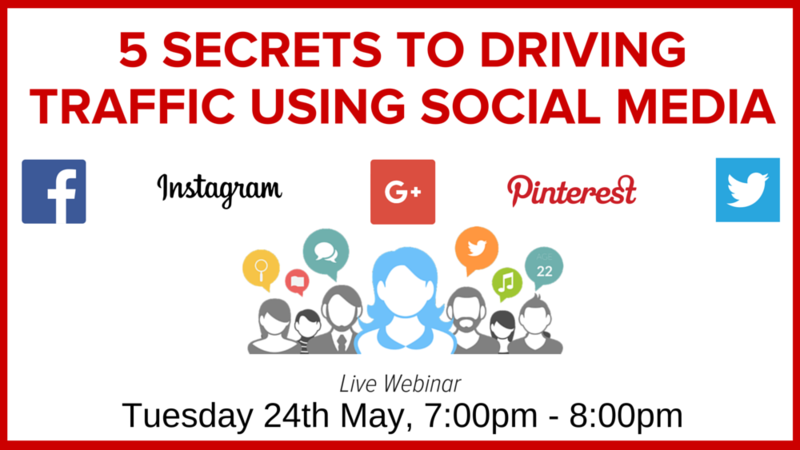 To really understand how the five true “secrets” can be applied to your business, YOU need to sign up to my webinar taking place on the 24th May, 7pm. I GUARANTEE that at the end of this one hour webinar, you will have the knowledge and understanding to drive more connections, more leads and more sales using social media. The biggest challenges we all face as a business is firstly understanding where your target audience are online, secondly; how to market to them via social media and most importantly how to convert followers into happy, returning customers. In this exclusive 1 hour webinar, I will share with you my 5 true secrets to drive more connections, more leads and more sales through the strategic use of social media. My 8 years of social media experience, along with my 20 years sales & marketing experience, has helped me truly understand what small businesses NEED to take their business to be a six or seven figures business, just like I have.